If you need assistance with septic system assessments during real estate inspections in Winter Haven, FL, we are ready to assist you. If you work for a real estate agency, you understand how important property inspections are to the successful sale of your clients’ homes. These inspections can determine the actual value of the home and whether any repairs need to be made before a sale can become finalized. Septic system inspections are just as important as overall home inspections in determining next steps for necessary repairs and maintenance. When you need real estate inspections for your client’s septic system, our team at Southeastern Septic LLC is your number one choice. • For Buyers & Sellers – If your client has an older home, or doesn’t remember the last time their septic system was inspected, recommending this service during their real estate inspections can help buyers and sellers determine what the outcome of their sale will be. Buyers will be able to decide if the septic system is in good shape or request repairs before they buy a home, and sellers will know what maintenance is required before they put their home on the market. • Septic Assessments – As part of real estate inspections, having an assessment of a home’s septic system can be critical to ensuring home owners are aware of recommended septic system maintenance and any potential hazards or repairs that may need to be completed. 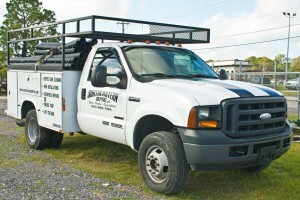 This is also a good opportunity to provide regular maintenance services where there may have been none previously. At Southeastern Septic LLC, we give a comprehensive septic assessment during real estate inspections in Winter Haven, FL, so there are no questions left remaining about the health of the home’s septic system. If you need assistance with septic system assessments during real estate inspections in Winter Haven, FL, we are ready to assist you. Whether your clients are buying and/or selling a home, it is important to be aware of the health of their septic system so they can make informed decisions. 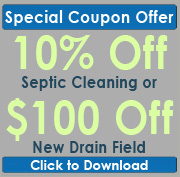 Please contact us for more information or to schedule a septic system inspection. We look forward to working with you. Southeastern Septic offers reliable Real Estate Inspections in Winter Haven, Auburndale, Zephyrhills, Lakeland, Bartow, Polk City, Mulberry, Plant City, and Polk County.